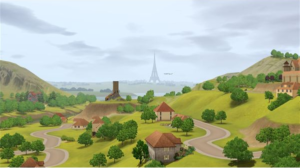 The “Generations" expansion pack for “The Sims 3" focuses on things that Sims do throughout their life. New additions to the game include many new things that kids and teenagers can do. They can now go to boarding school, go to their high school prom, play pranks on other Sims, play in a tree house and much more. Older Sims can now go on a date and watch the stars, have The Sims 3 woohoo in new locations (shower and tree house), have a midlife crisis, use The Sims 3 young again potion and more. The expansion pack also includes a large amount of new items and objects for your Sims to use in the game or just decorate with. You can now have Sims sleep in bunk beds, gain logic skills with the chemistry set, play on water slides in the back yard, and much more. This expansion pack contains new content for the game which would have been great to have with the base game, but at least the new things were added in now. One of the coolest things that was added with the expansion pack is the chemistry set. It is even able to be used by children, so they can learn the logic skill and also how to make potions at a young age! The mood enhancer potion helps boost Sims moods and is really cheap to make. There are also fun ones to use such as the ghost potion that transforms your Sim into a ghost for a few hours. There is even a potion to turn a child’s imaginary friend into a real Sim! 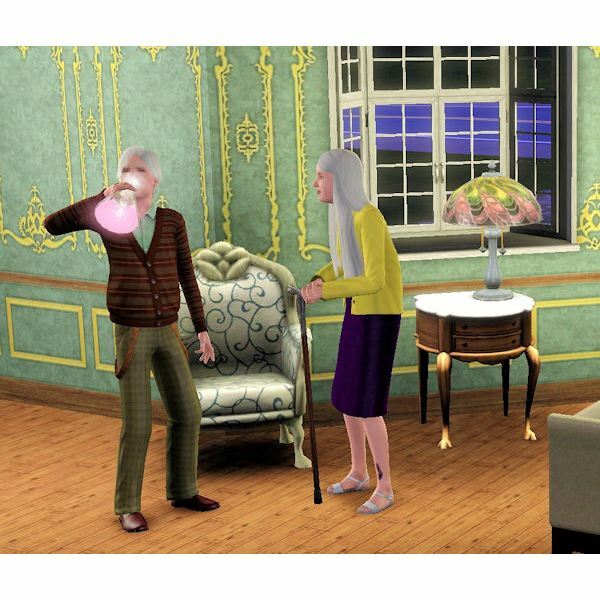 While there may not be a fountain of youth in “The Sims 3: Generations" there is a new potion that acts like one. 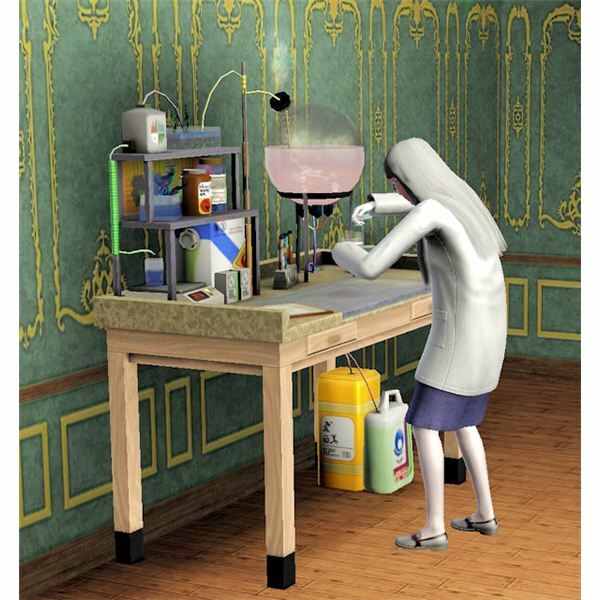 The Sims 3 chemistry set actually has quite a few fun potions to use and very helpful potions for your Sims to use on special occasions and in daily life. If your Sim already has their logic skill maxed out, they can learn all of the potions relatively quickly. All of the potions can be fun to use from time to time. However, The Sims 3 young again potion is one that can help save your Sim from old age and dying from age. Sure, some Sims may enjoy being elderly, but most would prefer to wind the clock back and have another chance of being a Young Adult! This potion costs $5,000 Simoleons to craft or $3,750 Simoleons if your Sim is a “Master Chemist." It may be a large sum of money to some Sims, but it is well worth it! Plus, when your Sim first discovers the potion, they will receive one of the potions for free. Just look in their inventory and use it when they are elderly and want to be youthful again. Note: The addition of this potion in the game also helps players so they don’t always have to set their game to have the aging progression turned off. Now, players can have their Sims go through all of the stages of life and then have them return to the Young Adult stage of life (if they wish to do so). The Sims 3 young again potion is probably one of the best potions that you can make with the chemistry set. It is a huge help for players that love playing with certain Sims and don’t want to see them die of old age. “The Sims 3: Generations" really helps players enjoy all of the stages of life and this potion helps so your Sims don’t actually have to die from growing too old anymore. To use the potion, your Sim has to craft it or have another Sim craft it and place it in their inventory. Once it is in their inventory, they can drink the potion to reset their age to Young Adult day one. After the Sim drinks it, you’ll see stars move all around them and if there are other Sims in the room, they’ll wave the birthday party item in their hand and cheer. The Sim that drank it will spin around in the stars and will now be a Young Adult… again. Sims that drink the potion won’t have their old clothes on. They’ll have randomly assigned clothes and outfits on in all of the categories, so you will probably need to promptly get them to a dresser and plan their outfits. Their hairstyle and color will return to what it was before they were elderly though.